You have heard of the Gold Rush, for sure. Even though it was not popular in a time like now with such speedy promotional techniques, it was still a thing in the times when people used to pack up their things and go where opportunities took them. And this is the case of the gold prospectors. If you ever want a lesson on telling the difference between real gold and fool’s gold, they are the ones to ask. And even they made mistakes from time to time. A precious metal. A sulfide mineral. Has great value. Is useful in various industries. Has always been used to make objects of value and adornment. Has been used to help spark a fire. Is reddish, slightly yellow. Is brassy yellow with a black-greenish streak. It shines. It has a luster. It leaves a yellow streak on white porcelain. It leaves a black-greenish streak on white porcelain. Is softer than copper. Is harder than copper. Has round edges. Has sharp, well-defined edges. Does not smell. Smells of sulfur. 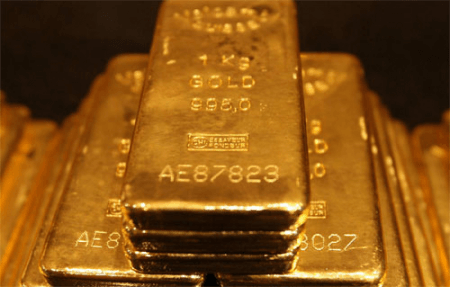 Gold is a metal and a chemical element. It is a precious metal used for coins and jewelry. As a material, its value is independent of whatever it is used to make. Some of the safest investments are made in gold, as it is one of the most stable items on the market. Gold is found in ores in rock. As a material, gold is malleable and shiny. It is a transition metal, which means that it can bond well with other metals, forming alloys. Scientists claim that gold originated in space and was brought to Earth by a meteor bombardment that took place 40 billion years ago. About 20 billion trillion tons of the precious metal is said to have hit the Earth. The purity of gold is measured in karats. It ranges from the purest gold of 24 karats (99.95 percent pure gold) to 12 karats (50 percent gold, 50 percent alloy). The term comes from the carob seed, which was used in Asian markets to tell the weight of gold. Pyrite is an iron sulfide with a metallic luster and a pale brassy color with a black-green streak. It is one of the most common sulfide minerals and is associated with fire – in Roman times, this was the name given to stones that could be used to strike fire. In the 16th and 17th centuries, pyrite was used to spark up flintlock firearms. Pyrite occurs in well-shaped cubes and other such forms with striated faces. 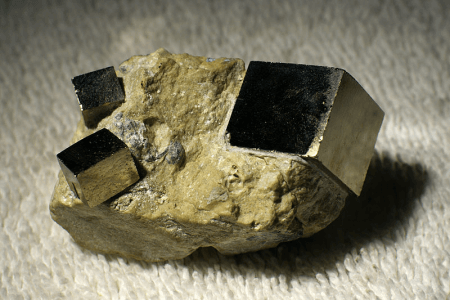 So what is the difference between gold and pyrite? Gold is a precious metal, whereas pyrite, though useful, is not worth as much. Therefore, the main difference between them is the market value. Secondly, gold shines, whereas pyrite has a yellow luster. Also, gold has smooth edges, whereas pyrite has well-defined sharp edges. As far as residue tests go, when scratched against white porcelain, gold will leave a yellow streak, whereas pyrite will leave a black-green residue. Another scratch test can be done with copper. Pyrite is harder than copper and copper is harder than gold. Pyrite can scratch copper, but gold cannot. Also, gold has no smell, whereas pyrite smells of sulfur. Gold is also very malleable. Pyrite, on the other hand, is brittle and shatters easily when it is hit.